IT IS important to realise that it's not just hard-working farmers and producers who are affected by extreme animal activism. Professional transporters and drivers have been targeted for years whilst going about their business. Processing plants and abattoirs, ports, saleyards and feedlots receive truckloads of sheep, cattle, pigs, chickens, other livestock and products. Every day of the year, these trucks are scheduled by livestock agents, buyers and brokers or the producer to pick up livestock or by-products and deliver them to their destination, but rarely do they see the situations we deal with. For nearly a week in early December 2017, dozens of truck drivers and farmers in their own trucks were blockaded at a pork processor facility by walls of hundreds of noisy, organised activists. Activists promoted sharing last moments with animals but were intent on preventing access and holding up drivers; getting media coverage of negative images of trucks and pigs despite the welfare risks to the animals their actions caused. Placing hands and arms inside of trailers, giving drinks of water from bottles, touching pigs, collecting photos and video, spreading misinformation. Hundreds of police diverted from essential duties to ensure trucks could enter and activists didn't get hurt by intentionally putting themselves in harm's way. Apart from a few media reports, these events were mostly hidden from the public and from our policy makers and government departments. 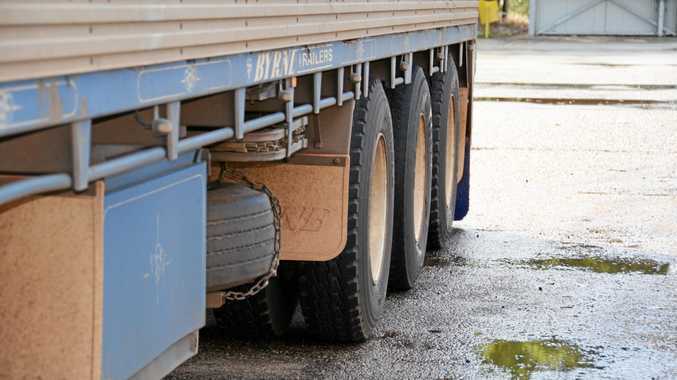 Every week or so it seems there is a truck driver that faces abuse, being photographed or videoed going about their business, being harassed on the road, at saleyards, abattoirs or ports. Extreme activists have a choice, they can behave ethically and legally themselves and enact change through education, policymaking and political lobbying like some reputable animal welfare organisations do. Or they can harass, threaten and defame ordinary people like transporters and farmers by acting outside the law. Agriculture including meat and animal products earns our economy billions while feeding and clothing us, employs hundreds of thousands of Australians and has thousands of agribusinesses like transporters relying on a profitable, world class farming sector. Stringent biosecurity and welfare provisions that farmers have helped create and fund must be protected and respected. Not used as an excuse for property invasion, theft, defamation and harassment. Truck drivers and operators need help to maintain their requirements of operating under Chain of Responsibility, Animal Welfare and Fatigue laws as protester actions knowingly threaten these as well. Transporter associations like the LRTAV try to give out notice of planned actions, and recommend calm and tolerance for activists' action, but the reality is those inside the trucks at protests are stressed, upset and often fearful themselves. Fearful of activists intentionally hurting themselves for media coverage. We are advised to be professional, calm and let police deal with activists - yet there are no real protections or ways to prevent activists harassing or threatening us other than turning the other cheek! We share the genuine concerns of farmers about the recent Aussie Farms map, having personal information shared and collated, and having property invasions incited affects all of us. We need full legal accountability of activist organisations. We need policy and laws to protect farmers, transporters and agribusinesses in supporting the economy and clothing and feeding our community. Most of all we need the Australian people to support and stand up for those who meet their needs and expose the extreme veganism propaganda inside the 'welfare' trojan horse. This column first appeared in the the February edition of Stock Standard, the Victorian Farmers Federation Livestock Group's monthly newsletter. But after the recent nationwide protests by vegan activists to mark the Dominion film anniversary, we thought these wise words from Marla were worth a second run.